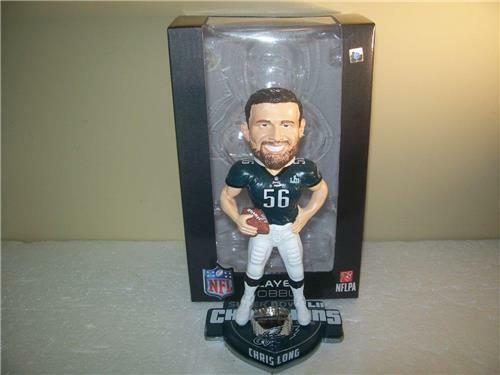 This unique Chris Long Super Bowl Champion Philadelphia Eagles Forever Collectibles Bobblehead is now out! This piece is limited and numbered to only 3500! Jimmie Foxx A's Romito Figurine!